Print Your Full Color Design with Our New Full Digital Printing! 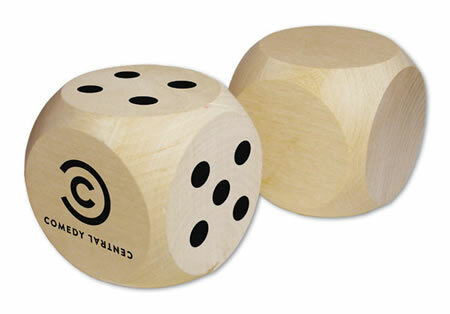 Our massive 2.5 inch (63 mm) Round Corner Wooden Dice are branded with any design(s) you choose on one to six sides. Made of solid pine/maple color wood, these environmentally-friendly Dice are perfect for promotions, games, and much more.